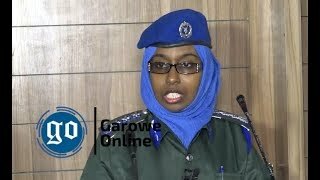 GALKAYO, Somalia - A total of 200 officers from Galmudug and Puntland states successfully completed a Joint Police Patrol training held in Galkayo city, the regional capital of Mudug region in central Somalia. The 15-day training is aimed at preparing the officers to carry out joint patrols in Galkacyo as part of a ceasefire agreement, brokered with help of the African Union Mission in Somalia (AMISOM), United Nations and other partners. 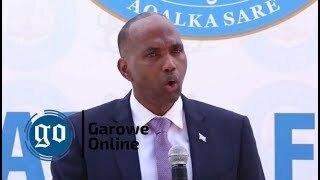 The Galkayo Ceasefire Agreement was signed on 1 January 2017 by the Puntland and Galmudug State Presidents, after months of fighting between the two administrations over the control of Galkayo. Under the agreement, patrol teams from both states would be trained to help enforce the cessation of hostilities between the two administrations. 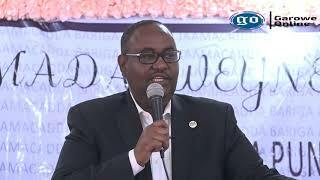 Speaking during the closure of the training, this week, Galmudug Finance Minister, Sa’ed Seed, thanked the officers for their active participation, adding that the exercise was important for the restoration of peace and co-existence between residents of the two states. His sentiments were supported by the Puntland Military Commander, Gen. Sa’ed Hersi, who commended the trainees for their courage and commitment to serve the country and urged them to be vigilant and disciplined as they embark on joint police patrols. Gen. Hersi commended AMISOM Police, the United Nations and development partners for their support in facilitating the training and helping in the implementation of the ceasefire agreement. Also present at the function was the Regional Governor of Puntland, Ahmed Khalif, and his counterpart from Galmudug, Abdirashid Haji. 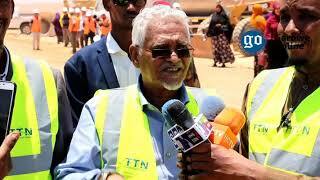 Representatives from AMISOM, UN, traditional elders and members of the civil society also attended the ceremony. 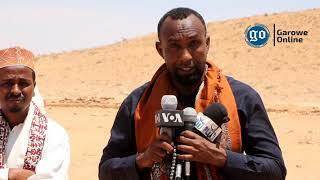 The joint patrol teams are expected to provide security to the Joint Ceasefire Committee members, while on visits to the buffer zone established between Galmudug and Puntland. 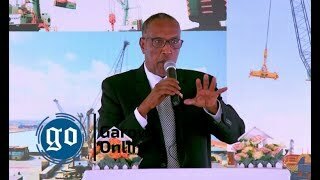 The officers will also support ongoing initiatives to restore stability and the rule of law and also act as focal points for rebuilding confidence and peace in Gaalkayo. At least 100 officers took part in the inaugural training launched at Galkaayco Community Centre in July.